A journalist who writes about television technology, consumer support articles, and TV-related news. TV band radios are AM/FM radios that also receive the audio portion of an analog TV signal. This makes it possible to listen to TV on the radio. The problem with TV band radios is that the TV tuner inside them doesn't work with digital TV, which is a major buzz kill. This information applies to televisions from a variety of manufacturers including, but not limited to, those made by LG, Samsung, Panasonic, and Sony. 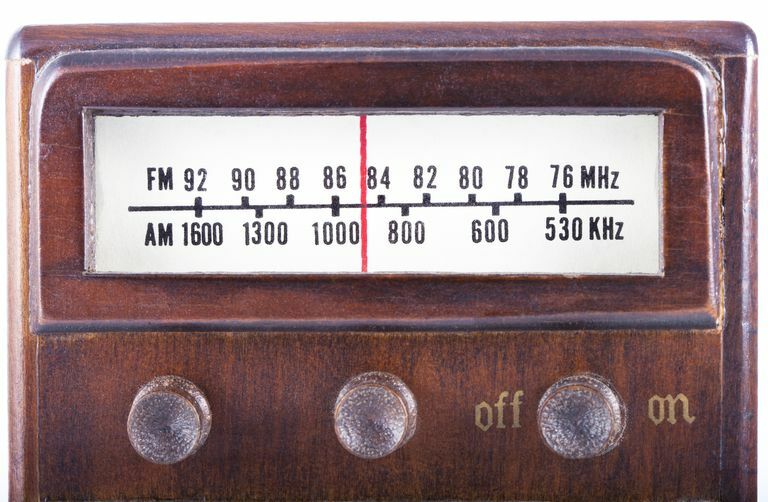 The transition to digital-only television in 2009 killed the TV band radio. Your reliable TV band radio cannot work with a digital TV signal. It's an unfortunate casualty of the digital transition. There is, however, a workaround you can use to listen to television on your radio. You use an antenna and DTV converter box to capture the TV audio, and then you connect the audio output of the converter box to either self-powered speakers or headphones. The speakers or headphones need an RCA-type connector. Run the channel scan function on the converter box before implementing this solution or you won't get any audio. After everything is configured properly, you'll be able to hear your favorite TV shows without seeing the picture. Change the channel using the converter box remote or the box itself. If you think this sounds strangely similar to the way you watch broadcast TV, then you are correct. It's an unconventional solution, but it fixes an otherwise broken situation. Of course, this fix doesn't work in situations where digital TV reception isn't possible. Until companies produce TV band radios with digital TV tuners, this might be all you can do. Development of a digital TV radio has been complicated by the fact that digital TV channels use virtual channel numbers that are different from the broadcast frequency channels. As of late 2018, this problem hasn't been solved, and no manufacturer has developed a working TV band radio for digital TVs. Where Is the Digital TV Tuner in Your Television Set? Do You Really Need to Toss That Old Analog TV?